Update on DEX who is being repaired for ridging, plugs and strip scars. Can you ask Dr Umar to provide photos of the guys armpits? I would love to see if there are any white dots or visible scarring. Surely this result needs a bit of explaination. Is the after pic shaved down. What advantage has the patient had from the procedure. » down. What advantage has the patient had from the procedure. I agree, am I missing something but where is the improvement? 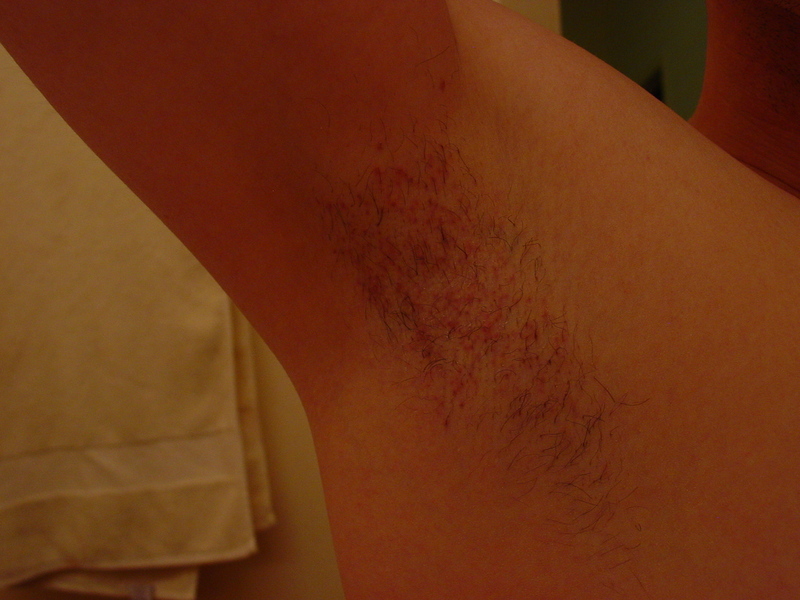 Here is an pic of my right armpit that was taken about 2 weeks post-op. It was still a bit red back then. I believe Dr. Umar took about 100 FUs from that location. There is no visible scarring today. Armpits look untouched. The pics aren’t well illustrated and a bit dated. Let me fill you in. 1 - Remove as many unsightly plugs as possible. My 90’s era procedures were very poorly done. Nearly all the plugs were misdirected. Straight in the air, even slightly backwards, and densely packed to boot. Safe to say, I was victimized like many here have been. 2 - Minimize ridging. As you can see from pic 1 (prior to procedure with Dr. Umar), the ridging was quite pronounced and discolored. 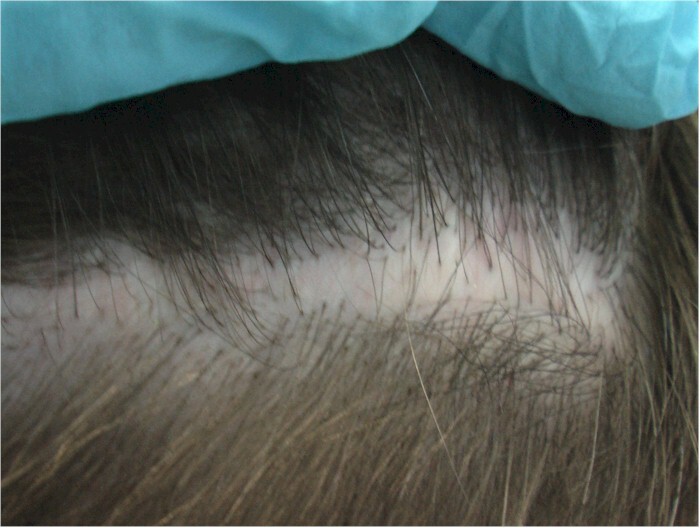 3 - Get coverage in the strip scar. 4 - Hairline reconstruction (strictly bonus). 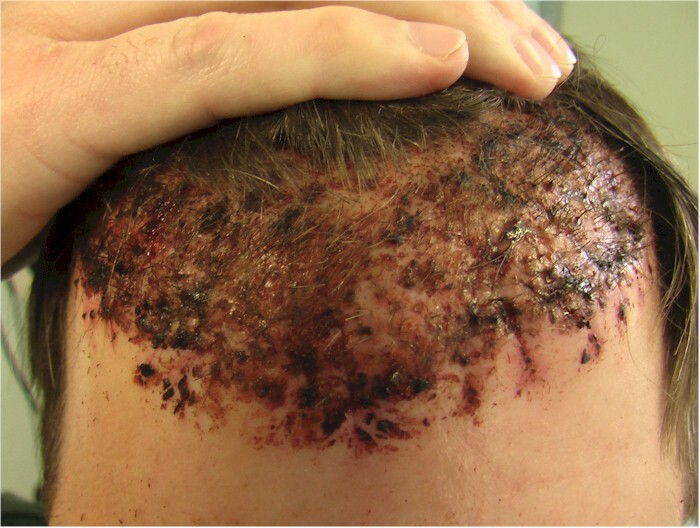 I’d convinced myself that the damage to my scalp was so severe, this goal might never happen. I would have been relatively content to accomplishing 1, 2, and 3. After 3 procedures with Dr. Umar, I think we may be close to #4. I’ll consult with Dr. Umar in the next 2 or 3 months to gauge where we are in the process. 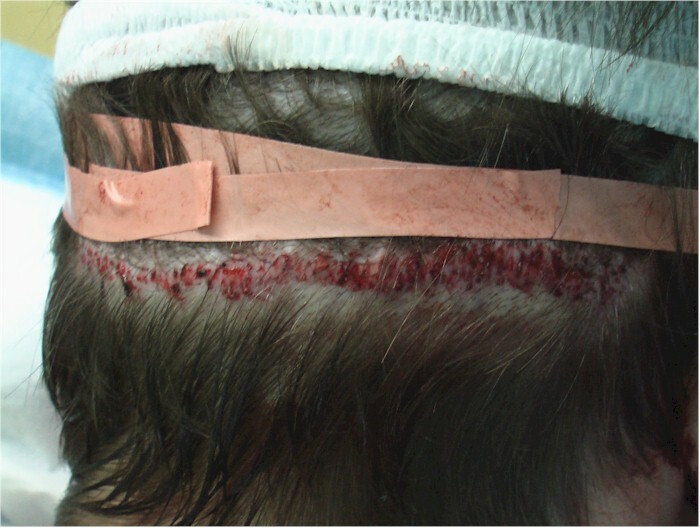 Pic 11 - That bloody mess is me after procedure 3 (more plug removal plus stitches in the hairline to reduce ridging. Now the scabs have fallen, the stitches are gone as is the swelling. I’d like to post pics, but don’t have my camera with me right now. For the last 18 months, my scalp has basically been one big reconstruction process. Absolutely had to go backwards and undo mistakes made by other docs before moving forward. It was the only option (other than do nothing). Deconstruction has been a long process and I give so much credit to Dr. Umar for taking on an extremely difficult case like mine and giving hope where there was none. Soon this process will come to an end. My hair and scalp will actually look normal. I hoped it, but would not have believed it 18 months ago. I will post pics in several weeks that illustrate my progress after procedure 3. Dex’s result of repair work has gone well. 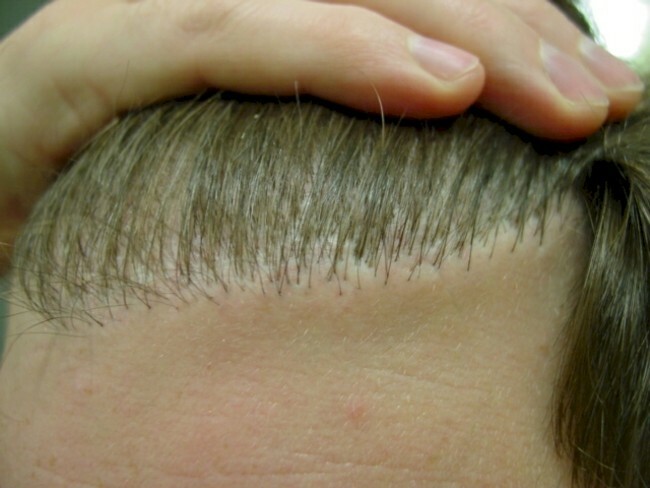 His hairline was densely packed with pluggy grafts with severe ridging. The challenge has been removing the plugs without causing a large continuos wound. After 2 sessions, the ridging is much improved and the pluggy hairline a lot softer since a majority of the plugs have been removed. Last month, Dex underwent his final deplugging session. 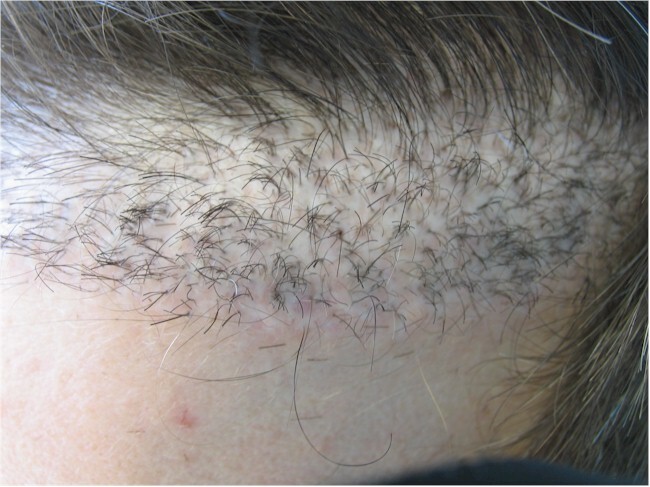 The next procedure would see the implantation of head hair to create a more realistic feathered hairline which should conceal all vestiges of ridging. Time allowing, I shall post some pics from his last surgery as well. Thank you for providing me with a LARGE & CLEAR photo of your donor area. Thank you for not trying to insult my intelligence & the integrity of this board (what integrity is left) by hiding your donor area behind elaborate, small studio photos which reek of deception. Thank you for your commentary as well,it’s always good to hear a patients own words. All the best dex. » the plugs without causing a large continuos wound. » lot softer since a majority of the plugs have been removed. » allowing, I shall post some pics from his last surgery as well. so theres not grown out results of the after photos?